Google could have unveiled its own Daydream headset at Google I/O 2016, but it didn't. Instead, it's sharing the spotlight with third-party partners willing to adopt its reference headset and controller design. A commendable move, but a confusing one, too. 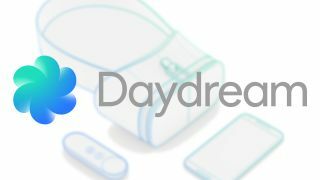 During a deeper dive into Daydream on Google I/O 2016's second day, Clay Bakor, VP of virtual reality at Google, confirmed that his team is working on a first-party model. So why exactly wasn't it shown off while the world was watching and, let's be honest, expecting them to do so? It could be for a few reasons. It's hard not to compare what we've seen of Google Daydream thus far to the Samsung Gear VR. They both run on Android and their respective home screens look quite similar. But Google's effort also reminds us of the Oculus from a few years back, which provided Samsung with reference optics and the software to build the Gear VR with. It was a beta test of sorts, not just for the product itself, but to get a feeling of the public's reception to virtual reality in the mobile space before launching its tethered flagship product, the Oculus Rift. It was a smart move, as it helped helped Samsung and Oculus establish ground as the early movers in the VR scene. But it also gave developers time to become versed in creating VR software, like games, movies and experiences. The stuff that defines the hardware. In the past few years since Gear VR was released, Oculus has gotten a taste of what worked and what hasn't, and Samsung sold a bunch of phones. This dynamic alone makes it easy to envision how Google would also want to work toward building a similarly secure foundation within the VR community, while including the wider Android ecosystem of devices in the process. For now, Google is putting the hardware into the hands of its partners so that it can facilitate in building a vibrant collection of experiences within the Daydream platform. When Android users think "reference design", they think of Nexus. And, when the announcement of Google Daydream brought mention of a reference headset and controller, we started catching Nexus-y vibes. We probably won't see a Nexus Daydream headset, per se, but what's more plausible is that Google could be holding back its own VR creation for the release of a new Nexus smartphone. There have been rumors floating around that we might see one announced later this year, and what phone better to kick off the line of ultra-powerful "Daydream-ready" smartphones than with a new Nexus. There's no doubt that the ecosystem of Daydream headsets, controllers and smartphones will be better off with contributions from a mixed bag of minds and manufacturers. But come on, this one is a given. Taking into consideration the reasons above that Google didn't debut its own Daydream headset, this is the one that holds the most truth. Above all else, Google wants its creation to soar higher than what its partners create. And before you say it, it's not really a selfish move. As the creator of the platform and the reference hardware that backs the experience, it really should be in the hands of Google to elevate Daydream over time. Just like you, we're eager to see where Google and its partners take Daydream before the year's end. We hoped to see a Google-crafted headset at Google I/O 2016, but if the reasons for not showing it off will mean for a better experience down the line, we can only be so disappointed.